“The measure of intelligence is the ability to change” -Albert Einstein. Agencies, like everything in this universe, evolve and adapt to its current times. Likewise, we wanted to evolve our brand from the founding SportBox Group logo and site to something that illustrated our legacy, our growth, our culture and the depth of our services. Logo: We wanted to start at the core of our brand — our logo. As we designed and tested over a dozen logos, we realized that staying true to our roots was the best way to pay tribute to our accomplishments as a firm. 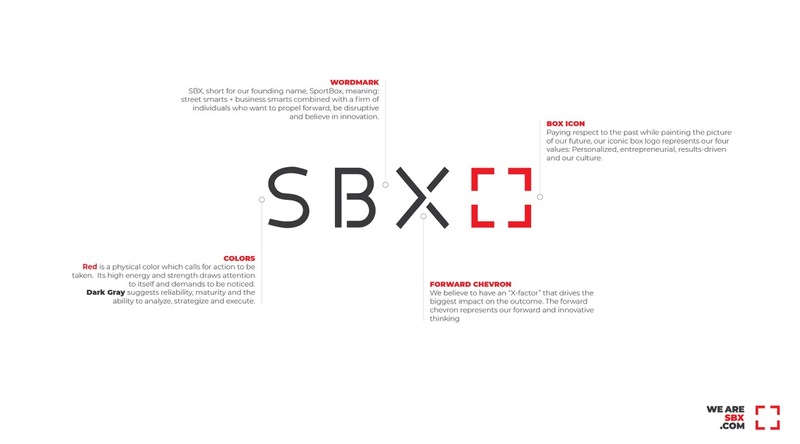 Name: SBX, short for our founding name, SportBox, meaning: street smarts + business smarts combined with a firm of individuals who want to propel forward, be disruptive and believe in innovation. S: Street Smarts — The knowledge you only gain by being there and understanding it. B: Business — The expertise to analyze, strategize and execute. X: Forward — The factor that drives the biggest impact on the outcome. Website: With new design and look, our comprehensive website will allow our visitors to learn more about SBX and our services. Unblogged: Our blog will become the channel where our voices will be heard.